ORLANDO (June 18, 2013) — Global-5 Communications received the prestigious Silver Anvil Award from the Public Relations Society of America (PRSA). The Silver Anvil, which recognizes outstanding achievement in strategic public relations planning and implementation, was presented during the Silver Anvil Awards Ceremony held June 13 in New York City. 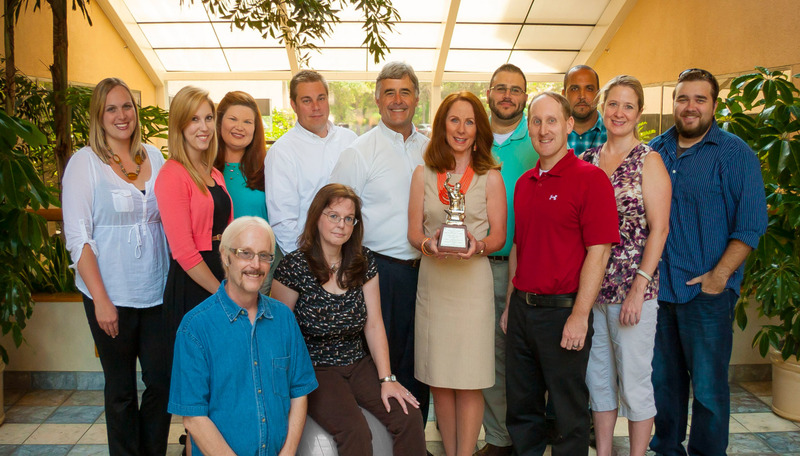 Global-5 Communications received the 2013 Silver Anvil Award in the marketing consumer services category for its work with the Florida Department of Transportation’s (FDOT) 511 Traveler Information System. FDOT’s 511 provides real-time traffic reports on the state’s busiest roadways through a phone system, a website, Twitter feeds and an iPhone mobile application. Global-5 created and implemented a grassroots partnership marketing and media campaign that reached millions, pushed call volumes past the eight million mark and increased awareness by 21 percent. Global-5 continues to implement award-winning marketing strategies for the Florida 511 system. G5 Sponsorships, a branch of Global-5 Communications, also provides sponsorship sales and revenue generation support for other states, including Virginia, West Virginia and South Carolina. The Silver Anvil Awards program has grown in scope and stature since its inception in 1946, and awards are now given in 66 categories and subcategories. In the 60-plus-year history of the Silver Anvils, many organizations have been recognized, including solo practitioners, agencies of all sizes, large and small businesses, top corporations, nonprofits, associations and government agencies.